This is a massive 37.5x45mm. 18k. 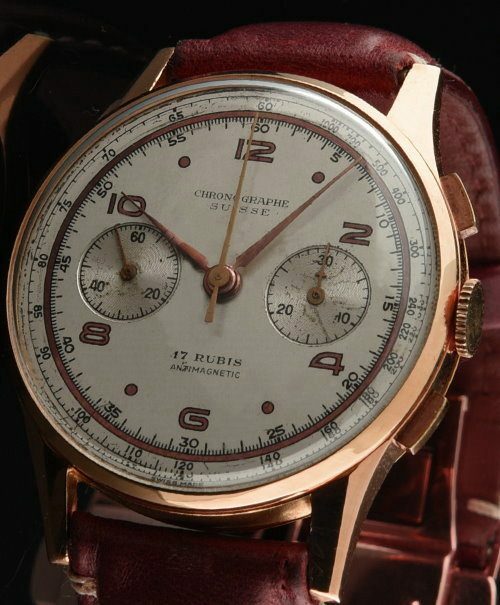 solid gold vintage Chronographe Suisse in rose gold and having a shimmering solid gold case that looks fabulous! Usually, we find these cases dented and rough-this one looks amazing with only the slightest ding on the case side and appears much more accentuated in my close-up photo. The lugs retain their chamfered edges, The manual winding chronograph movement was just cleaned and is operating smoothly. I love the original silver dial with its reflective minute track, Arabic numerals and original hand set. There are some marks from age on the attractive dial, but I think they add vintage character. 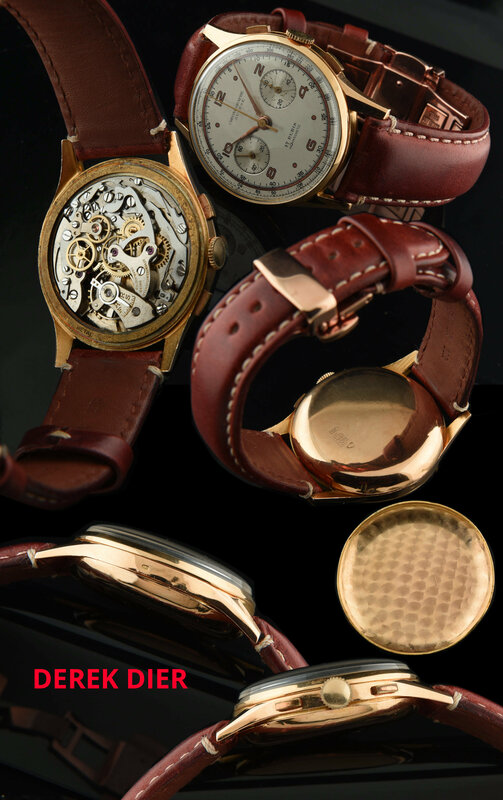 This watch comes on an expensive stitched leather strap with rose gold toned deployant buckle. You are going to love this piece!